Manhattan’s and America’s black capital, aka Harlem, is getting a major freebie via a grant and reaching a major milestone. Harlem is getting free wi-fi service and will soon be home to the nation’s largest wi-fi network. New York City Mayor Michael Bloomberg announced yesterday, Tuesday, that a specific section of Harlem will soon get a new outdoor public wi-fi network. The free wi-fi coverage will cover 95 city blocks, spanning from 110th Street to 138th Street. On this Harlem blog, I use tees to feature the subject matter, ie Harlem. Sometimes readers ask, where can I buy a unique tee with the name Harlem on it? Here’s an option. 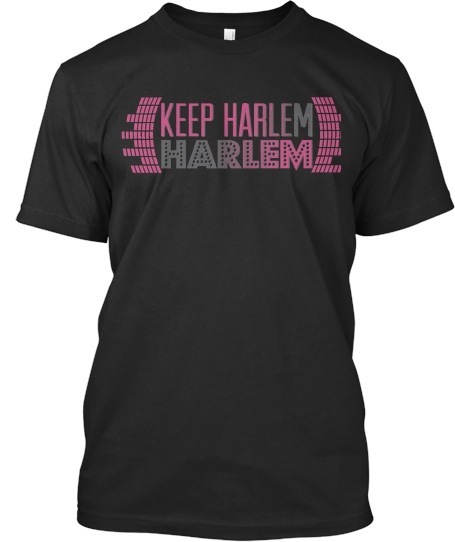 One of my favorite Harlem sites, Harlem NYC, is now offering Harlem tees to purchase. The t-shirt says “Keep Harlem, Harlem.” Pretty cool…huh? If you’re interested in purchasing this Harlem tee, go here! And to check out Harlem NYC like I do, click here. Look out for a traffic jam today in Harlem around The Studio Museum in Harlem, i.e. 125th between Lenox Ave and ACP! Why? 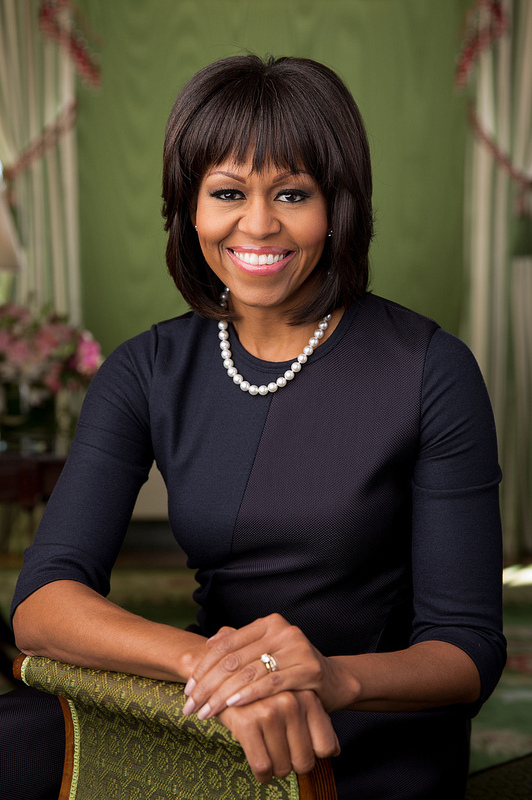 Our First Lady Michelle Obama will be hosting an afternoon event at The Studio Museum in Harlem for the spouses of Chiefs of State and Heads of Government participating in the UN General Assembly, which is happening all week. 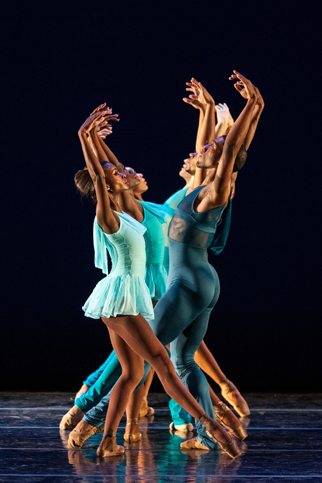 Mrs. Obama is expected to will deliver brief remarks at the event and the Dance Theatre of Harlem is planning to perform for the First Lady and her guests. As for traffic, expect major delays and back up leading up to 125th Street from East to West. To get the latest on traffic, HarlemGal Inc recommends following @gridlocksam for the latest! 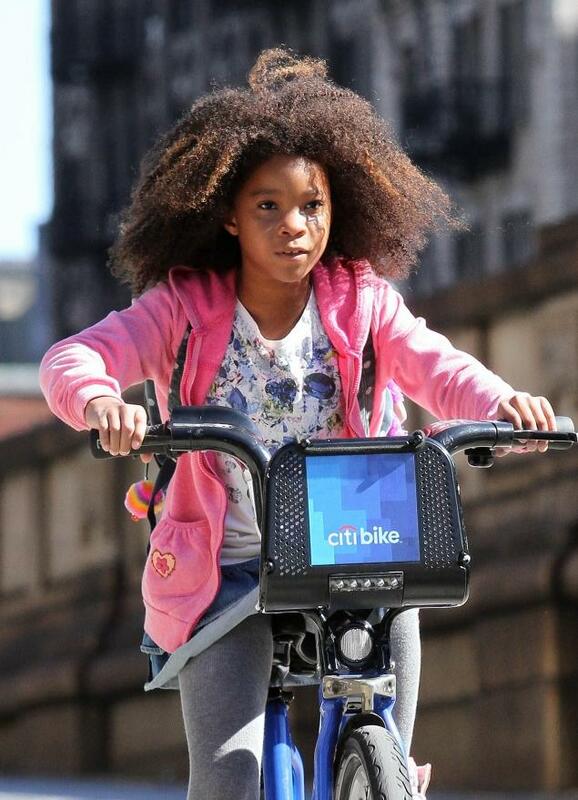 Did anyone notice all the publicity, irony and major hypocrisy around adorable actress Quvenzhané Wallis riding a Citi Bike through Harlem on the set of ‘Annie’ this past week? When I saw several news clips stating how the character of ‘Annie’ was spotted in Harlem riding a Citi Bike, all I could think about was…wow, how interesting that the Citi Bike Share is being used on the set of the remake of ‘Annie’ now filming in Harlem, but none of us who live in the Village of Harlem actually get to use the bike share program because Citibank has not made it available to those of us who live uptown. What a double standard by Citibank? It’s obvious that Citibank paid the big time producers of the remake of ‘Annie’ for product placement. I guess Citi Bike Share wants to give the appearance in this upcoming movie that all poor little black children get to use their bikes. Bull! Do the producers of this movie know Harlem residents do not get to use this bike share? At this time, no child who lives in Harlem or friends or family get to use Citi Bike Share. In my view, this is hypocrisy at its best. There is not one Citi Bike location in Harlem to date. And there’s been no explanation (that I can find) for why the Citi Bike Share has not been made available to Manhattanites who live Uptown! Talk about a hard-knock-life. Harlem residents are the real life orphan-Annie’s when it comes to the Citi Bike Share program. I guess we are not good enough to work on our carbon foot print. But hey in a movie, lets fool everyone else that this might be happening in Harlem. All I can say is, if the Citi Bike Share program is good enough to use on the movie set of ‘Annie’ currently filming in Harlem, then Citi Bike Share is darn well good enough to implement and use for the people living in Harlem. Hope Citi Bike Share comes to their senses and changes their locations. Hypocrisy will get you no where. Don’t forget, tomorrow in Harlem is the largest parade in America dedicated to the black community. It’s the African-American Day Parade, which starts at 1 pm and runs along Adam Clayton Powell Jr Blvd from 111th Street to 136th Street in Harlem. It is a fun event for family, friends and all. See you there. 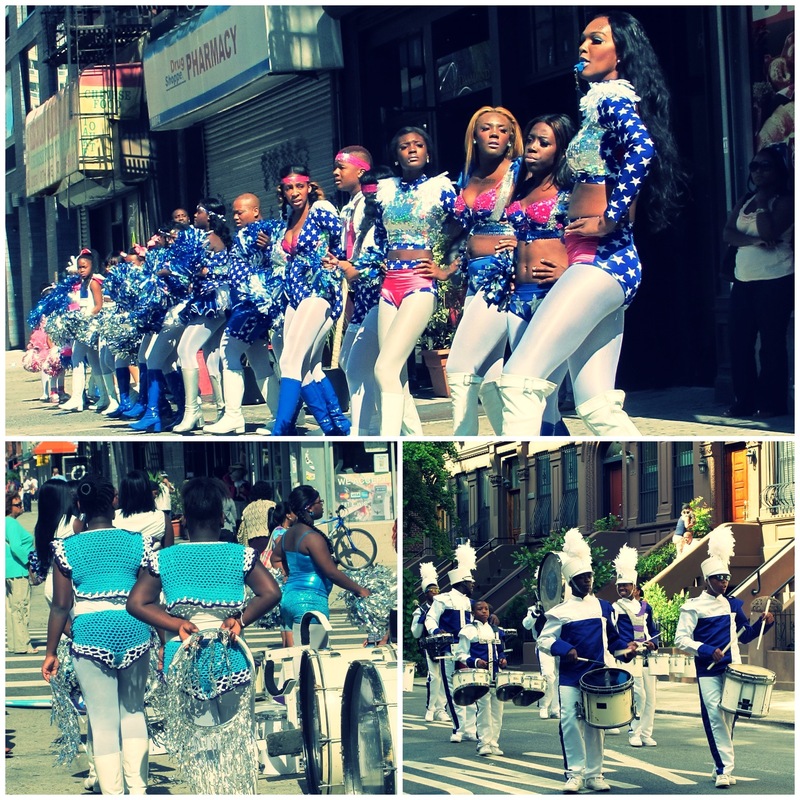 Take a look at last years photos of the African-America Day Parade! Pardon my French in the headline, but Russell Simmons needs some serious training in black history and he clearly should come to Harlem ASAP to pay respect to the amazing Harriet Tubman, the African-American abolitionist and humanitarian during the American Civil War, after the stunt his music label pulled. What in God’s green earth were they thinking? Read the clip here on what happened cause I’m not going to repeat Russell Simmons’ major screw up. But I do think he should do more after that error. If you haven’t heard the latest, Russell Simmons is sorry now for the recent actions of his music label and he offered his apologies. Whatever! In my view, this screw up by Russell Simmons needs further action by him. 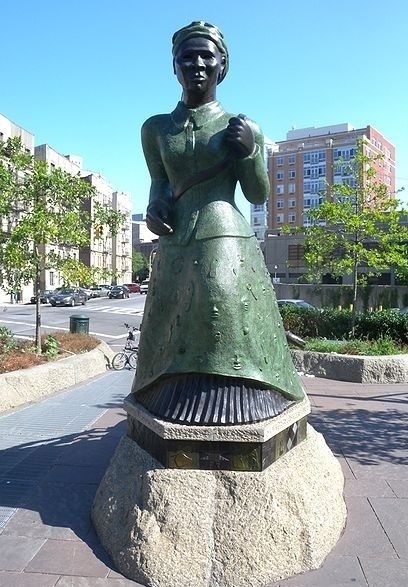 Lets start with…how about paying respect to this great woman by visiting the sculpture in Harlem dedicated to her, ie the Harriet Tubman Sculpture at 122nd and Frederick Douglass Blvd? Show some real respect Russell Simmons! Honor this American by visiting an area in Harlem dedicated to her! Feel free to use the visit as a photo-op too. You could use it right now. Pay up too for this mistake. Russell Simmons should support his apology writing out a big fat check to an African-American organization of his choice that supports women. After all, if you’re truly sorry for this insult to Harriet Tubman (and all women), putting your money where your mouth/apology is will make it more authentic/PR effective. What do you say, Russell? And last, from one yogi to another, cause those of us who practice yoga know you like this ancient Indian practice, why not distribute material on YouTube that enlightens the world, not trashes it? 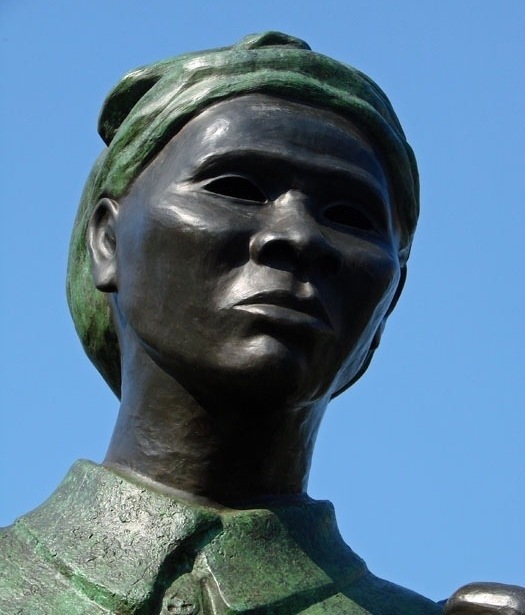 Not sure where the Harriet Tubman Sculpture is located? To visit the Harriet Tubman Sculpture, take the B or C subway line to 116th Street or A or D train to 125th Street or take your limo! The sculpture stands at the crossroads of St. Nicholas Avenue, West 122nd Street and Frederick Douglass Boulevard in Harlem. It’s been all over the news. A Prince will be in Harlem today! 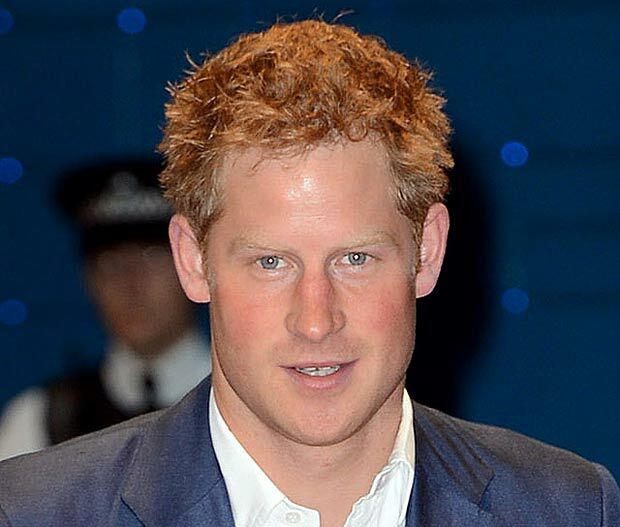 According to several online reports, Prince Harry will be in East Harlem to visit Harlem RBI for some baseball and to promote the program. That’s so wonderful for them! 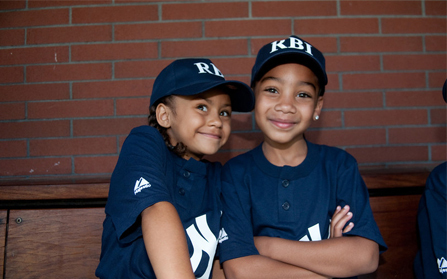 Way to go Harlem RBI! That’s a home run! If you’re not familiar with Harlem RBI, visit prior posts here to learn more. 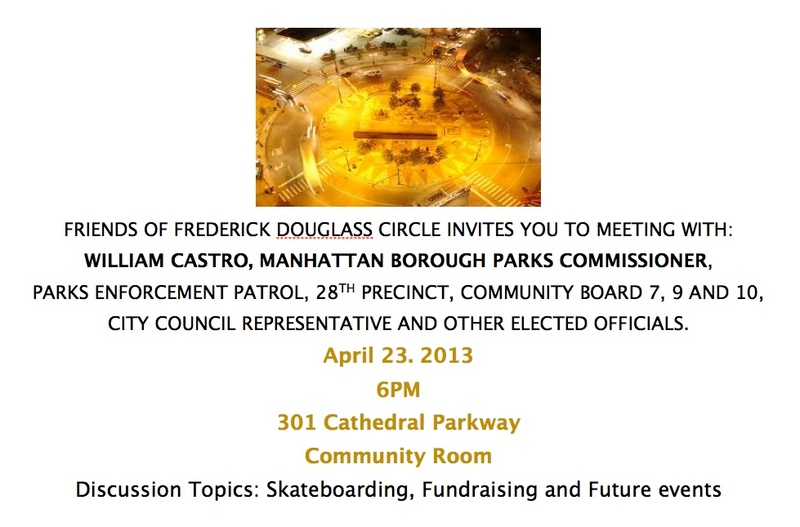 This organization is having a pubic meeting April 23 at 301 Cathedral Parkway and we are all invited to attend. See details below if interested in participating. 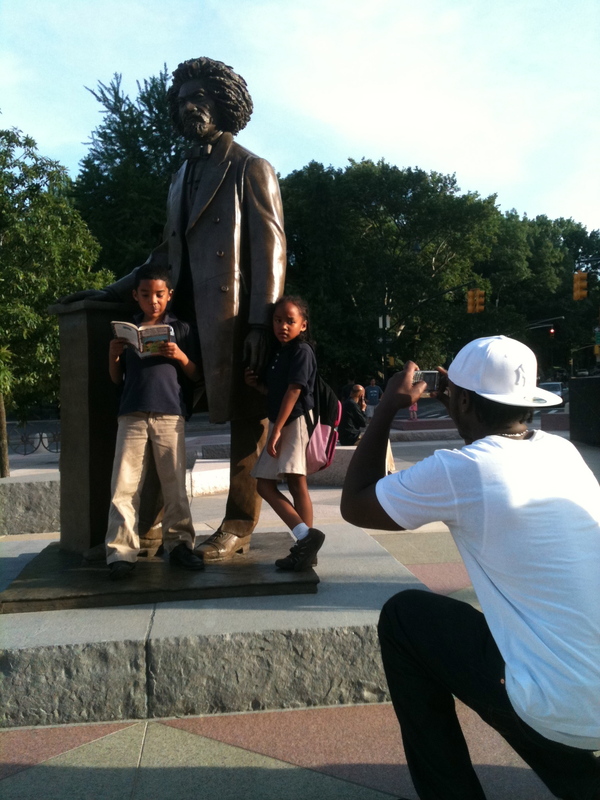 Read prior blog coverage of Frederick Douglass Circle here. 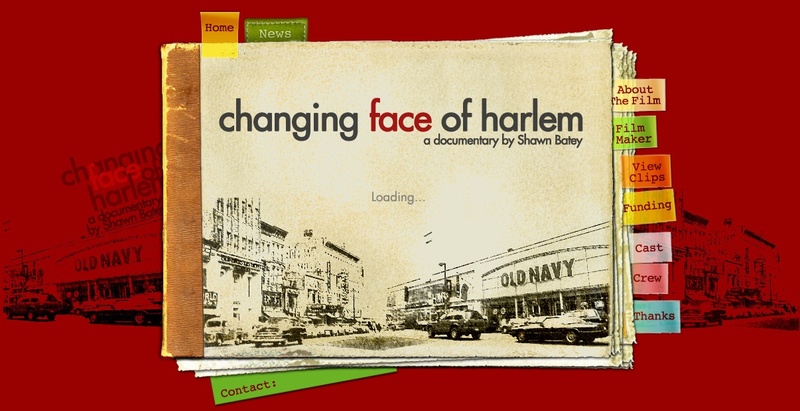 Changing Face of Harlem, a documentary about Harlem’s ongoing transformation told from the voices of longtime residents, business owners, politicians, developers, and clergy, is in the home stretch to complete the film. This month they have launched an Indiegogo campaign to raise $30,000 to meet final post-production costs. Post-production costs cover final sound mixing, edit, color correction, and costs of archival footage, graphics and music. To help Changing Face of Harlem meet their goal, go here to donate. The campaign runs for the month of March. 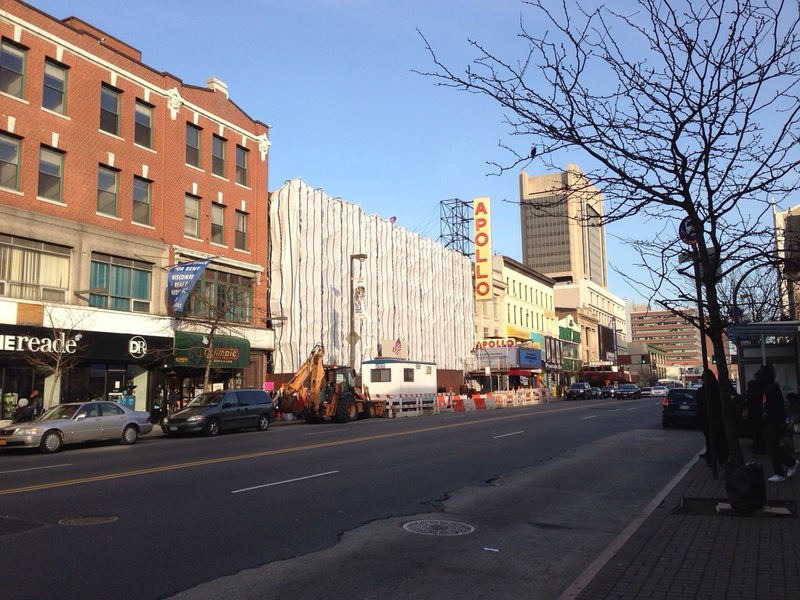 Read prior posts here on Changing Face of Harlem. 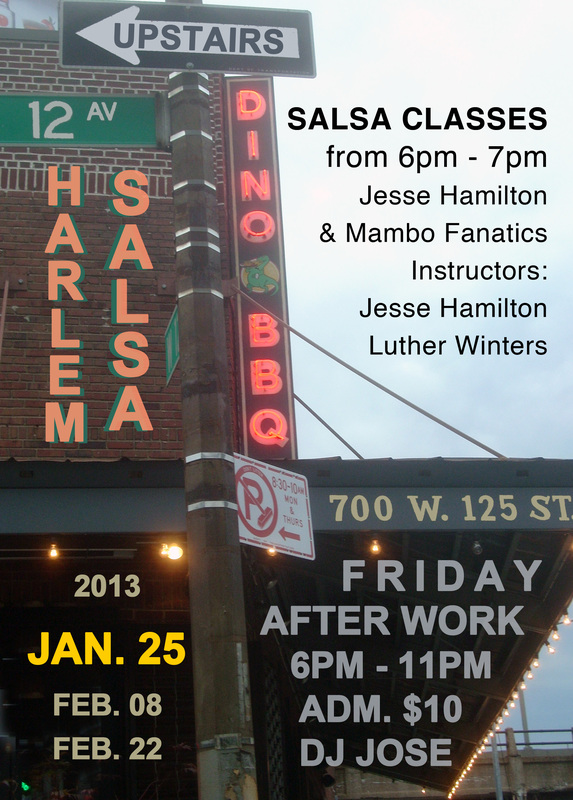 There are several Harlem happenings taking place this Friday evening, Jan 25. They’re lined up below for your consideration. Casa Frela Gallery will present the works of furniture artist Yoav S. Liberman from 8-10 pm. In addition to showing Yoav’s fantastic furniture pieces, he will also speak about the art pieces currently in the gallery, as well as an informal Q&A to follow. To attend this FREE event, RSVP to events@casafrela.com. 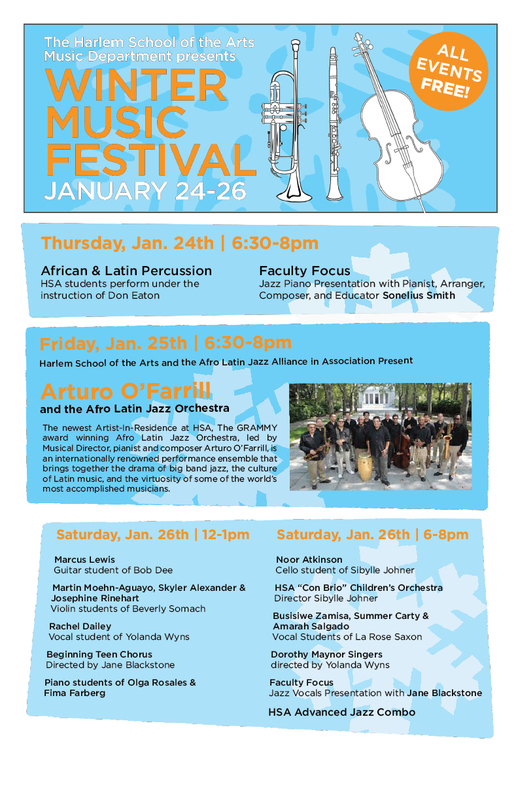 Grammy Award-winning pianist, composer and Musical Director Arturo O’Farrill and the Afro Latin Jazz Orchestra will take the stage at the Harlem School of the Arts’ Winter Music Festival, located at 645 Saint Nicholas Avenue. This will be the first of several concerts presented by O’Farrill and the members of his jazz orchestra this year. This event starts at 6:30 pm and it is FREE. Over on the Westside, it’s Harlem Salsa at Dinosaur BBQ, located 700 125th Street. One hour salsa classes are offered from 6-7 pm. Admittance for the evening is $10. See more details in picture below. And the Harlem Bimonthly Bar Crawl continues on Lenox Avenue starting at 9 pm. Participating establishments for the 25th include: Les Ambassades Bar & Restaurant, Harlem Corner Social, Red Rooster Harlem, Cove Lounge, and Chez Lucienne.